I did it! I ran/walked 13.1 miles at the San Diego Rock 'n' Roll Marathon and here's the proof. The organizers thought of everything for this race, including a download that allowed my husband to track my progress every 5K. My favorite thing was the yoga mats and rollers at the end, and of course the live concert by Gavin DeGraw. I met so many fun people associated with TeamQuest. Here I am below before the race with my newfound friend, Ann, from Northern California. She was also running for TeamQuest, representing sunny CA. The line for the shuttle bus was so long that we just walked the two miles to the starting line. 13.1 miles later, here I am at the end of the race, still vertical, with my arms full of SWAG. In between the start line and the finish line were live bands, gatorade, and lots of spectators sitting out on their lawns wishing us well (and offering Uber rides). Something truly remarkable happened at mile marker 11 when a mom ran up beside me and asked if I was running for the dyslexia association. See my post over at the SWIDA website to read her story at southwestida.org. It really helped to remind me what all of this was for. I went out a few weeks ago and splurged on a new pair of running shoes at Heart and Sole here in Albuquerque. This is a great store. Very high tech. They got me up on a treadmill with several different pairs of shoes (one pair at a time of course) and took video footage of my feet as I ran. I settled on a pair of Everuns from Saucony that just happened to perfectly match my TeamQuest t-shirt. Now I can rest assured that I am both well-cushioned and color coordinated. If you go to Heart and Sole, ask for Matt Glasier and tell him Carolee from TeamQuest and the Dyslexia Association sent you his way. I just sent my husband over there this morning. I can't believe the Rock and Roll Marathon in San Diego is only a few days away. Yesterday I ran 3 laps (10 miles) around the Albuquerque Academy and the week before that I did 13. My incentive for each run is to meet my family at Einstein's bagels afterward. They usually join me for the last lap too. The marathon folks sent a really cool video of exactly what the half marathon course will look like. Half Marathon Video. Yikes! That looks like a long road. It's a good thing there will be live music and porta-potties along the way. If you would like to know more about TeamQuest, check out my fundraising page at TeamQuest. RUN FOR THE ZOO - I MADE IT! 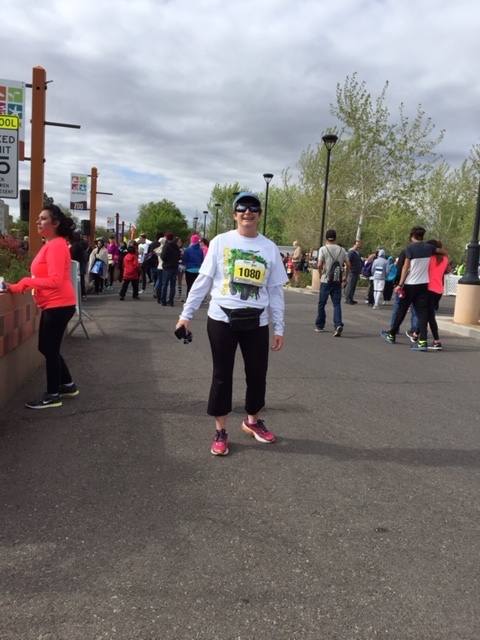 This morning I completed the 10K (6.2 miles) at the Run for the Zoo here in Albuquerque, NM! Another TeamQuest training milestone. Now I only have 6.9 miles to go until I'm ready for the half marathon (13.1 miles) on June 5 when I go to the Suja Rock 'n' Roll Marathon. IS THIS WHAT IT'S LIKE TO HAVE DYSLEXIA? I had an unforgettable experience while I was in Towson, Maryland for the annual IDA Branch Council Meeting, (a strategic planning marathon for branch presidents of the International Dyslexia Association). I was running at Towson University across the street from the Marriott where we all were staying when I spotted this unusual lawn sculpture. At first I thought it was just a piece of interesting abstract art, but as I continued running, I saw the image from a slightly different angle. The lawn sculpture seemed to be taking on some sort of form. It wasn't until I was directly in front of the design that I realized it was a word! Now I don't presume to know what it feels like to have dyslexia. It is such a multi-faceted experience, but I couldn't help but wonder if I had just caught a tiny glimpse of what it might be like to be a struggling reader. At first the pattern on the lawn made no sense at all. It was impossible to extract any meaning. Then it started to take shape, but still held no meaning for me. I was totally in the dark. When the symbols finally all came together, it was a revelation to realize I was reading a word. I cannot imagine what it would be like to have this type of experience with every single word I tried to decode... every day... 24/7, but many of my students understand this all too well. I guess that's basically the reason why I'm involved with the International Dyslexia Association and why I'm participating in the TeamQuest fundraiser to raise money for the important work of IDA. It's certainly not because I'm a runner. I'm sort of turning into one though, and I've got to say, it's adding an interesting dimension to my travels. I've been doing a lot of traveling the past couple of months, but I'm still managing to keep up with my half marathon training. I squeezed in a four mile run around this lake with my daughter when I was in Colorado on April 9. Two weeks before that I went on an early morning run through Seaport Village in San Diego on March 28. Two days before that I did nearly 7 miles (half walk, half run) in the California Dessert on March 26th. Setting a goal to run a half marathon has been an amazing experience for someone who could barely run half a mile two months ago. It just goes to show that the challenges that are the hardest for us are the ones that are often the most worthwhile. As part of my training, in two days I'll be participating in the Run for the Zoo 10K. I couldn't be doing any of this without the support and encouragement of my friends and family. Thank you to everyone who has been part of this crazy journey. If you'd like to know more about why I'm involved with TeamQuest and/or would like to contribute to IDA through this amazing fundraiser, please visit my page at Carolee's TeamQuest Page. I have recently started doing The Artist's Way course again. It's interesting that the 12 week Artist's Way course happens to coincide almost exactly with my 12 week TeamQuest training for the Rock and Roll Half Marathon in San Diego on June 5. I didn't plan that, but it's interesting how life works out that way sometimes. I bought The Artist's Way for my son in December when he graduated college and at the time I told myself I was going to start doing the morning pages again. I did the Artist's Way course many years ago and found it to be life changing. It's fundamentally about living life in a more creative way. Recently my son informed me he was on week 10 of the book and I realized I still hadn't started. 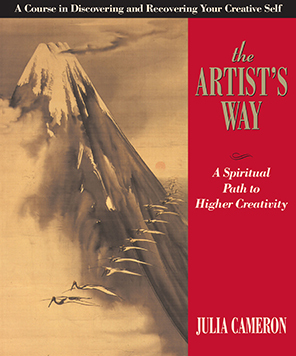 So, last Sunday, I found my copy and once again began the "Spiritual Path to Higher Creativity." Julia Cameron, the author, is a wonderful teacher and writer. I was privileged to meet her here in Albuquerque after the performance of her play, LOVE IN THE DMZ. Today, as part of my TeamQuest training, I ran 4 miles along the bosque trail with my friend Brenda and my daughter who is on spring break from college. I actually ran almost all of that distance which was a huge surprise to me, though not to Brenda. When I say things like, "Let's walk when we get to the one mile mark?" She says things like, "Why?" My intelligent reply is, "Um." Then she says something like, "Are you actually tired or are you just in a habit of walking after a mile?" I could have reminded her that five weeks ago I wasn't running at all, but I kept it to myself and kept going. Then a strange thing happened... I was the one who suggested we turn around at the two mile point, increasing our round trip excursion to 4 miles. Of course I thought I would get away with walking back, but that didn't happen. Brenda keeps reminding me that running is a mental sport. Like writing. Like the rest of life, I guess. It's a good thing I kept going because I have NOT stopped eating Girl Scout Cookies as I was contemplating in my last post. In fact, this week, in honor of my daughter coming home for spring break, we made a Tagalong Pie. According to Map My Run, I burned 485 calories today or the equivalent of about 6.9 cookies. Meanwhile, yesterday the Southwest Branch of the International Dyslexia Association held a Mini-Retreat to work on strategic planning for the organization. I feel very privileged to be a part of such a strong group of people so dedicated to helping connect families to the resources they so desperately need. It's going to be an exciting year for our organization. Which brings me back to the reason I am training of the half marathon. If you would like to find out more about the TeamQuest fundraiser for the International Dyslexia Association - Go To Carolee's TeamQuest Page . If you would like to know more about the important work we do at our Southwest Branch, visit http://southwestida.org. One 8 inch graham cracker crust. Two cups Cool Whip or whipped cream. 1. Chop 5 cookies and stir into one cup Cool Whip and cream cheese. 2. Fill bottom half of pie shell with this mixture. 3. Combine cocoa and Cool Whip. 4. Fill the reminder of the pie shell with the chocolate mousse. 5. Free style the top with as many Tagalong cookies as you can. 6. Chill for one hour. I'm really a glutton for punishment. 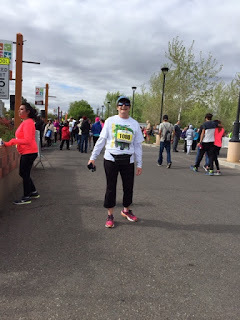 In addition to signing up for the Rock and Roll Half Marathon in San Diego on June 5 as part of TeamQuest, I also signed up for the 10K Run for the Zoo on May 1 here in Albuquerque. I needed some inspiration after being sick for a week with the flu and getting off of my training schedule. I'm back on track now. 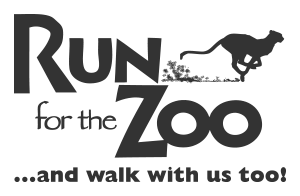 Run for the Zoo is a great fundraiser for our local zoo, plus it will be a good mid way goal as I aim for the half marathon in June. I'm doing all of this to help raise money for the International Dyslexia Association and our local New Mexico branch. I'm certainly NOT doing it because I'm athletic in any way. This past year our local branch was able to provide college and career scholarships to three students with dyslexia. We also put on a big conference for teachers, parents, and students every February with speakers from around the country. See my FUNDRAISING PAGE to see how you may contribute. My Saturday morning run in the foothills was a little rough after being home sick. Downhill was great, but uphill was a real challenge. In previous posts I have mentioned that I'm getting the feeling that my running app is spying on me. Saturday when I was running with Brenda in the foothills, I said, "I'd really like some tie-dyed running pants." When I got home I had a message from Map My Run telling me my stats for the month of February and recommending running pants. This was the link the app provided - HERE. 1) My running app is listening in on conversations while I run and then emailing me similar suggestions (as close as they can get from their data base of links). 2) I'm psychic or maybe just deeply intuitive and I can predict what kind of links the running app is going to send me. By the way, according to my stats, I ran 36 miles in February. This took me 10 hours across 12 different workouts and I burned a total of 3532 calories. Here is a math problem for you - If 3,500 calories = one pound of fat (currently there seems to be some debate about this) and I want to lose 15 pounds, how many miles would I have to run to lose 15 pounds? Or I could stop eating so many Girl Scout Cookies... another great fundraiser! 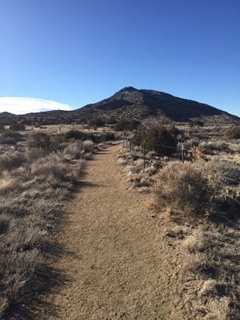 Yesterday I posted about last week's run in the foothills as part of my TeamQuest half marathon training. I shared that I had been talking about core workouts with my friend Brenda. When I got home I received a message from Map My Run telling me that I had completed 12 miles for the week... and the app gave me suggestions for core workouts as well as tips for running up hill. I admittedly didn't do very well on that one. Did it know that I slowed down uphill? I wondered if the app had overheard my conversation. I decided to test my theory. Today while I was out walking the Academy with my friends Eve and Lynne, I casually mentioned that I would really love to have a recipe for a salted caramel after workout recovery drink. About ten minutes after we finished our walk, I received an email notice from Map My Run that I had completed 13 miles for the week. Yay me! Included was a link for 16 Dietician Approved Pre and Post Workout Snacks. I'm not kidding. Here is the link: Dietician Approved Snacks. There is a picture of a green smoothie at the top of the post. NOT salted caramel, but still, it's weird. Is Map My Run listening to my workout conversations? If so, they obviously don't approve of my idea for a salted caramel smoothie. 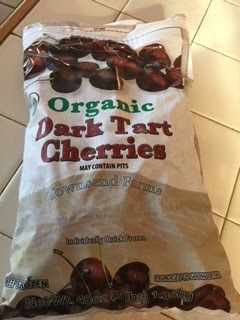 I've gone back through my previous posts and come up with a recipe I created for a Chocolate Covered Cherry Smoothie. It's actually pretty healthy. You can find it over at Tips for Life and Love, a Simon and Schuster site. On a separate note, yesterday at the Southwest Branch of the International Dyslexia Association, we held our annual conference with over 330 people in attendance. 35 of those were students! It was an amazing event with great national presenters like Dr. Elaine Cheesman, Dr. Margie Gillis, and William Van Cleave. I'll write more about this soon. In the meantime, next week I'm going to "casually" mention that I'd love to have a pair of psychedelic running pants. 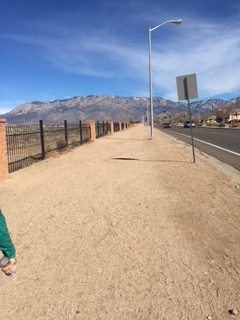 Last Sunday, Valentine's Day, as part of my TeamQuest training, I started off the week by running 3.2 miles in the foothills. It wasn't until we were already on the trail that I thought to ask my friend, Brenda, if she ever saw rattlesnakes out there. "Oh yes!" she informed me. "And coyotes and mountain lions." Fortunately, she brought her Rottweiler along. Mostly I walked up hill and ran down hill but that bit of news gave me incentive to increase my speed. About an hour after we returned, the Map My Run app sent me 6 Tips to Master Hill Running. They also sent me a 5 Minute Core Routine, which is very interesting since while we were on the run I told Brenda that my doctor had told me to be sure and work my core. Hmm. This app may be watching me a little too closely. And listening too. Next time I use the app, I'm going to say something like, "I wish I had a recipe for a salted caramel recovery drink." If one pops up on my phone, I'll know they are listening. Superbowl Sunday, February 7, 2016, I began training for the Suja Rock 'n' Roll half marathon which will be held in San Diego on June 5. Since I'm not a runner, and not really much of an athlete at all for that matter, this should be very interesting. It's all part of my new (as of January 2015) post as President of the Southwest Branch of the International Dyslexia Association. IDA is spearheading a nationwide fundraising campaign called TeamQuest and I'm in charge of recruiting runners for New Mexico. Go me! Full disclosure - the picture to the left is NOT me. It seemed only fitting that I should be the first volunteer for the race, despite the fact that when I registered for the event, I was fifteen pounds overweight with chronic hip pain. I've lost five pounds and the hip pain is on the way out. So far so good. Before heading out to eat junk food and watch the big game last Sunday (Yay Broncos! ), I walked/ ran a total of 5 miles (full disclosure - I really only ran about half a mile). Part of that was a trek around the Albuquerque Academy (3.4 miles or roughly a 5K). The Academy has some beautiful views of the Sandia Mountains. According to Map My Run - my new favorite app, last week I walked/ran a total of 12 miles. And it only took me 3 hours and 10 minutes - spread across four separate days. If I could convince the marathon folks to let me take my time, I could totally do this. Maybe a week is asking too much though. I did find out that they have a shuttle bus that picks up the stragglers and takes them to the finish line. San Diego traffic can only be diverted for so long. So if anybody out there wants to run a marathon or half marathon in San Diego to support the International Dyslexia Association - check out our TeamQuest post at http://southwestida.org. You don't have to live in Albuquerque. Training is going on all over the U.S. If you're not a runner but you would still like to contribute to a good cause, check out my fundraising page at CAROLEE'S FUNDRAISING PAGE. Maybe I'll see you in San Diego!